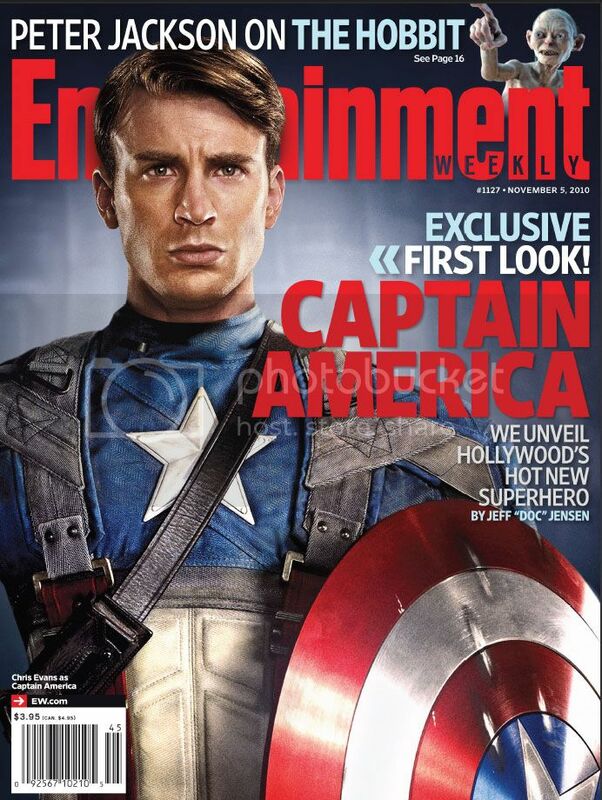 Entertainment Weekly has given us our first look at (one of) my future husband, Chris Evans, in costume as Captain America. Bonus? There’s also a pic of him out of costume, in all of his shirtless glory. Apparently, the costume is going to be a mishmash of classic and Ultimate Marvel, with a "real world" explanation as to why Evans’ Steve Rogers has to wear the get-up. Also, expect the film to tie in to the IRON MAN franchise with some interesting cameos. Behold him back in it again… with a nifty helmet and goggles, too. 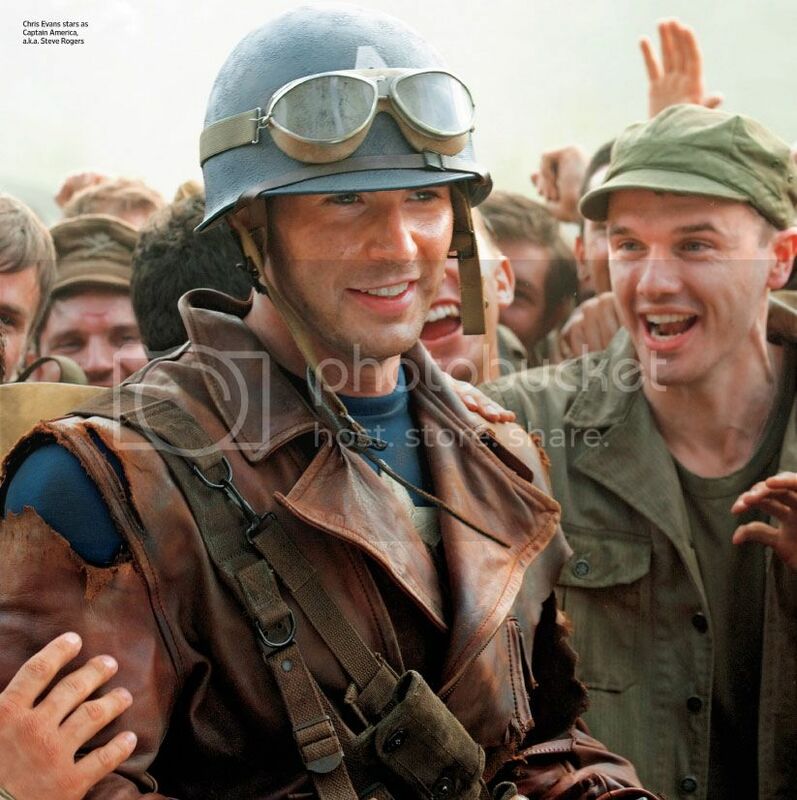 THE FIRST AVENGER: CAPTAIN AMERICA debuts next year. Still can’t figure out how to post pictures with my blog without a team of geeks handy, or I would have posted them this afternoon when the mag hit my mailbox. I don’t usually go in for shaved chests but…. BTW his brother is an out actor in Hollywood. I you want to meet Chris you may want to cast his brother in something Jody.